I’m friendly, I’m outgoing, and I like men. 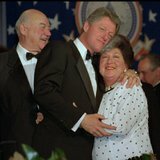 Bill Clinton is in every sense his mother’s son. . .her outward flamboyance. . .she had lost three husbands, including Bill Clinton’s father, a traveling salesman with a secret life of previous marriages and children, and his adopted father, a car dealer who drank too much and tormented the family with verbal and physical abuse. 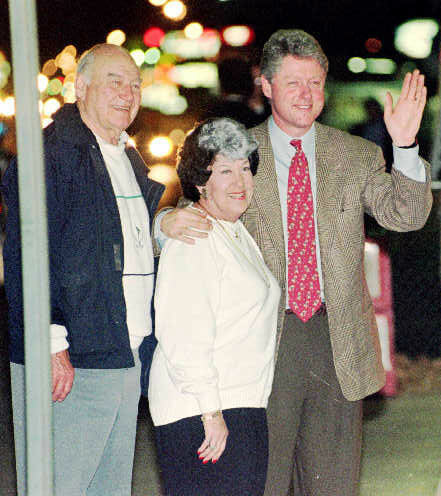 But behind Virginia Kelley’s exotic public persona was a strong woman who more than anyone. . .shaped Bill Clinton and directed him toward what she long ago took to be his destiny at the White House. . .
A clear line can be drawn back from his perseverance in the political world to her resilience in the face of personal tragedy and trauma. If he lost an election or an important legislative battle or she lost a husband or suffered from breast cancer, they kept going in similarly relentless, seemingly indefatigable fashion. We have the Violence Against Women Act because former President Bill Clinton was determined to protect women walking in his mother’s shoes. You know where I get my fighting spirit? 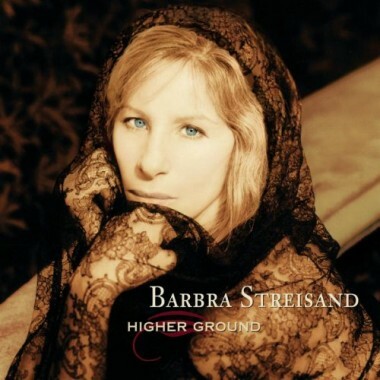 I’ve been dealt my share of tough hands. . .an Elvis song. . .”This time You Gave Me a Mountain”. . .many hills to climb. . .a few mountains. . .I wouldn’t change a thing. I had a mother who met every day with anger and took it out on me and my father. My firstborn son never knew his father. . .I had lost all three of those husbands ~ to accident, cancer, and diabetes ~ by the time I was fifty-one. . . . I think I’ve done pretty darn well. . .I’ve loved, and I’ve been loved. . .joy of raising the two kindest, dearest sons. . .wonderful friends. . .stood by me through all the crises. . .a career that fulfilled me. . .you lead with your heart. Those eyes could bore in on you and almost disintegrate you with their heat. . .temper. . .was uncontrollable. . .angry somewhere deep inside her, and she took it out on anybody who happened to be around. . .My mother created sparks. . .my father and I were the ones who got burned the most. . .nightly screaming fits. . .insanely jealous. . .vindictive, manipulative. . .would whip me furiously. . .drew blood. Thank you, God, for letting me see another morning. I’ve trained myself not to worry about what-ifs. . .when bad things do happen, I brainwash myself to put them out of my mind. . .Inside my head I construct an air-tight box. I keep inside it what I want to think about, and everything else stays behind the walls. . . Inside is love and friends and optimism. Outside is negativity. . .I just tell myself I’m going to be okay. . .I get up every day and I push ahead, and I never quit. . .focus ~ like a laser. . .on the good things. That’s where your strength comes from. . .
Mrs. Kelley had a career as a nurse-anesthetist which funded her son’s education at Georgetown, Oxford, and Yale. She was a planner rather than a dreamer. While working as a student nurse, she met her first husband and Pres. Clinton’s father, William Jefferson Blythe III, in the emergency room at a hospital in Shreveport, LA. After a whirlwind courtship, they married on September 3, 1943 in Texarkana. She became a young widow on May 17, 1946 when Mr. Blythe had a car accident near Sikeston, MO. 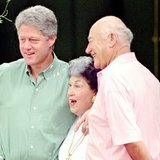 A few months later, she gave birth to William Jefferson Blythe IV on August 19, 1946 [he changed his name to Clinton]. The way I’ve gotten through life is by living in the present. I needed a room for a few nights. . .didn’t have any money [she had a thriving career]. . .that night was a turning point. . .I realized that a woman needs her own money. . .so that she can take care of herself and her children if need be ~ and she needs to pay enough attention to it so that she alone controls it. . .mad money shouldn’t stop once a girl is grown and married. What if it turns out your husband sometimes goes stark raving mad. . .
Too many women are economic slaves to their husbands, and too many husbands enjoy exercising the upper hand. I might’ve been a slave, too, without good friends and a backbone. . .I made a vow. . .Never again will I be without money to protect us. Bill left for college at Georgetown. In 1967, Mr. Clinton died from cancer, and Mrs. Cassidy died two months later. On January 3, 1968, Mrs. Clinton married her hairdresser George Jefferson Dwire, who had always protected her and treated her like a queen. He persuaded her to keep the gray streak in her hair and to wear black ~ her color ~ rather than the bright colors she loved. He went to prison for stock fraud. Bill graduated from Yale’s law school and returned to Arkansas to teach. During his first campaign in 1974, Mr. Dwire died from diabetes complications. I believe deeply in the principles of trust and loyalty. Bill married Hillary Rodham on October 11, 1975 and was elected Arkansas’ attorney general in 1976. In 1978, he was elected governor. Chelsea was born on February 27, 1980. Gov. Clinton lost his bid to be re-elected in 1980, and Mrs. Dwire’s career went up in smoke. I thought he was the most stable man you’d ever been with. . .an anchor. . .a rock. 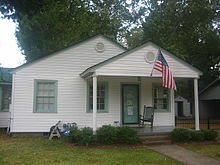 The Kelleys were married on January 17, 1982 and moved to their Lake Hamilton house. Roger was convicted on drug charges and went to prison. Bill was again elected governor in 1982. You have to celebrate life, not brood about death. . .not stand around waiting for the grim reaper to show up. . .you have to try in this life to do what makes you happy. Other people are going to try to stand in your way, but you can’t let them. I wished my daddy could’ve been there to watch his grandson become President. . .his daughter stretched out on the Queen’s bed. What a journey it had been. Lord, the hills we had climbed. She was like this fairy godmother. . .
She knew how to wring every morsel out of life. Virginia Clinton Kelley. . .was like a rubber ball. The harder life put her down, the higher she bounced. She didn’t know what the word quit meant. $2 bets on horse races, bright lipsticks, and Elvis. 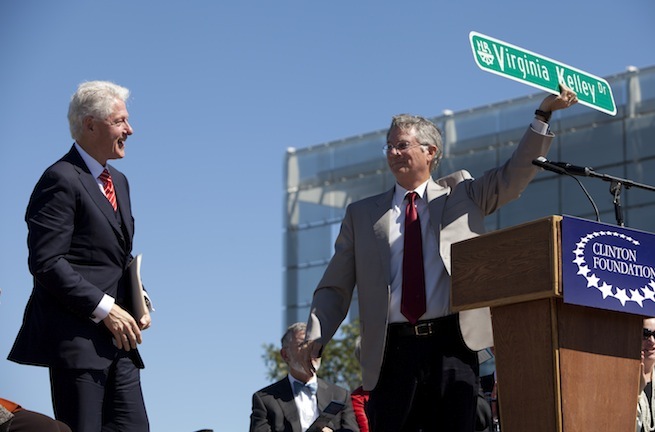 Last month at the dedication of the Clinton Presidential Park Bridge in Little Rock, Arkansas, North Little Rock Mayor Pat Hays presented former President Bill Clinton with a street sign bearing the name of his late mother, Virginia Kelley Drive. The city named a street for Mrs. Kelley. In 2004, former Pres. 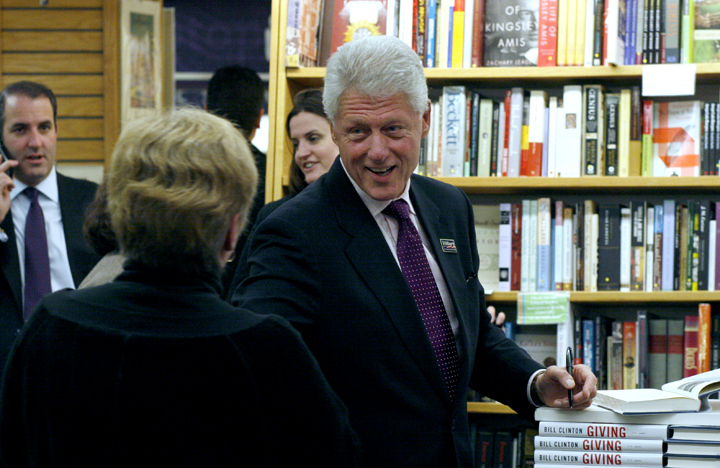 Clinton granted me permission to write about his mother. He said, “I would be honored” as tears sprang to his twinkling blue eyes. She survived child abuse and domestic violence. She thrived and found joy. She was the inspiration for the Violence Against Women Act. Her son became president.